Magyar's settle in the Danube plain uniting to create Hungary. King Stephen I converts to Christianity bring Hungary into Christendom. Austrian's expel the Turks and bring Hungary under the rule of the Austrian Habsburgs. Ottoman Turks defeat the Hungarians taking control over most of the country. Hungary is reestablished but looses a lot of land in the treaties that followed WWI. Soviet's force the Germans out of Hungary and it becomes a satellite state of the Soviet Union. Hungary becomes a republic once again adopting Democracy as their new government. 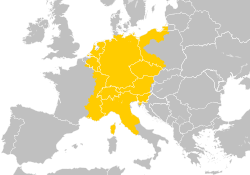 (Germany-Austria-Hungary) Charlemagne conquers these territories adding them to the Frankish Empire. Charlemagne's Empire is divided into three portion's among his grandson's. The Eastern portion would become the Holy Roman Empire. Otto I of Germany conquers Austria. He is then crowned Emperor of the Holy Roman Empire. Protestants revolt against the Catholic Habsburg's starting a war that eventually end with the Peace of Westphalia and Roman Catholicism is the official religion of the Austrian region. Construction began here in 870 with a wall and a cathedral. A Romanesque palace was erected in the 12th century. In the 14th century it was rebuilt in the Gothic style. A fire destroyed large portions of the castle in 1541. Under the Habsburgs the palace was rebuilt and added to throughout the 17th and 18th centuries. Today it is the office of the President of the Czech Republic. It is recognized as the largest Ancient Castle in the world. St. Vitus is the seat of the Archdiocese of the Roman Catholic Church in Prague. It is located within Prague Castle and houses the tomb of many Kings and Emperors. The first church was built in 930, the second in 1060, and the present church was constructed in 1344. Built in the Gothic style it is the largest church in the country. First built in 1015 in the Romanesque style Matthias Church is a Roman Catholic church. The current church was built in the Gothic style in the 14th century and was remodeled in the 19th century. The first church was built in the 12th Century within the original city. The Gothic style church that sits there today was constructed in 1494 and the towers were added in 1525. Frauenkirche is the Cathedral of the Archdiocese of Munich of the Roman Catholic Church. St. Stephen's is the seat of the Roman Catholic Archdiocese of Vienna. First built in 1147 it burnt down in 1258. Reconstruction began in 1263 over the next few centuries the church was expanded different portions were added. First built in 1265. The modern building was built in 1749. Originally built as a castle for the king of Hungary in the Middle Ages it was passed on to different Hungarian royalty and nobility. Today it is not in use but open to the public. Hofburg which means 'Royal Palace' is the imperial palace in the center of Vienna. It was first built in 1279 and has since been rebuilt and expanded over the centuries. Built during the Habsburg reign. It was the winter residence, Schonbrunn was the summer residence. Today the President of Austria lives and works here. Construction of this bridge began under King Charles IV. It crosses the Vltava river through Prague. Translated to Residence the Residenz in Munich was the royal palace of the monarch of Bavaria. First built in 1385 it was later rebuilt in the 1500's and expanded over the next few centuries. Today it is a museum open to the public. In 1569, Holy Roman Emperor Maximilian II had a mansion built on this site that was used as the court's hunting grounds. A palace was later built in 1638. The current palace was built during the reign of Maria Theresa in the 1740's. After the fall of the Habsburgs it became a museum. Constructed in the Baroque style Nymphenburg palace was built as a summer residence for the Kings of Bavaria. Today it is a museum open to the public. Constructed by Prussian King Frederick William II after the successful restoration of order during the Batavian Revolution it sits at the site of the original gate to the city. King Ludwig I of Bavaria had Alte Pinakothek constructed as a gallery for the Royal family's art collection. At its time it was the largest museum in the world. It is still a museum today open to the public and has what is considered the greatest collection of the Old Masters. Situated on an island in the middle of the Spree in Berlin, Museum Island is home to six museums that house Berlin State's collections. This road is built as a ring around Old Town where the walls of Medieval Vienna was. Built in the neo-Renaissance style it has served as the State Opera House since it first opened. Neuschwanstein Castle was commissioned by Ludwig II of Bavaria as a retreat. Unfortunately not finished at the time of his death the castle was then opened to the public. 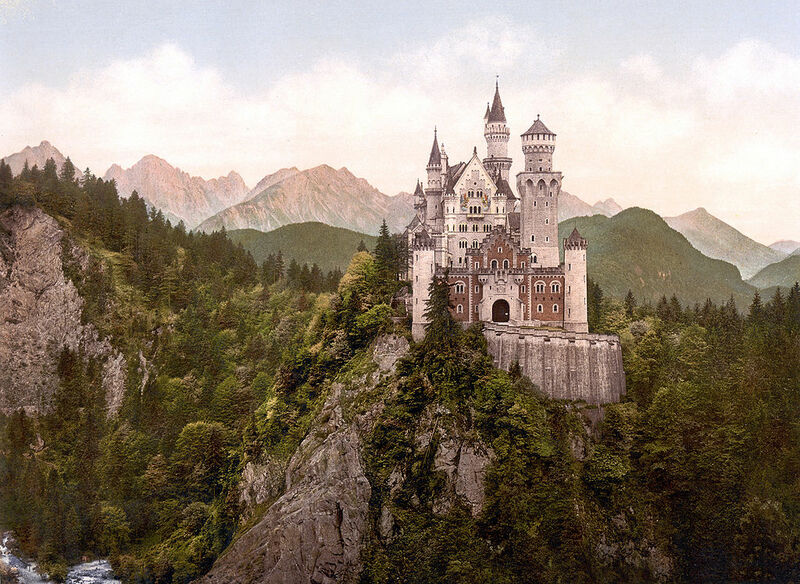 It said that Neuschwanstein Castle is the inspiration for Disneyland's Sleeping Beauty castle. Built in the Greek revival fashion it is where the two houses of the Austrian Parliament meet. Neues Rathaus or "New Town Hall" is the home of the city government of Munich. Constructed in 1884 to house the parliament of the German Empire the Reichstag is one of Berlin's most popular sites. The Reichstag took a lot of damage during WWII and then remained untouched during the Cold War as it sat in West Germany. Since reunification it has been reconstructed and once again houses the Parliament of Germany. Fisherman's Bastion is a terrace that over looks the Danuabe river from Castle Hill. It is built in the neo-Gothic and neo-Romanesque style with seven towers that represent the seven Magyr tribes that settled in this region. Also known as "House of the Nation" this is the largest building in Hungary and tallest in Budapest it was built to house the Parliament and part is still used by the government today. 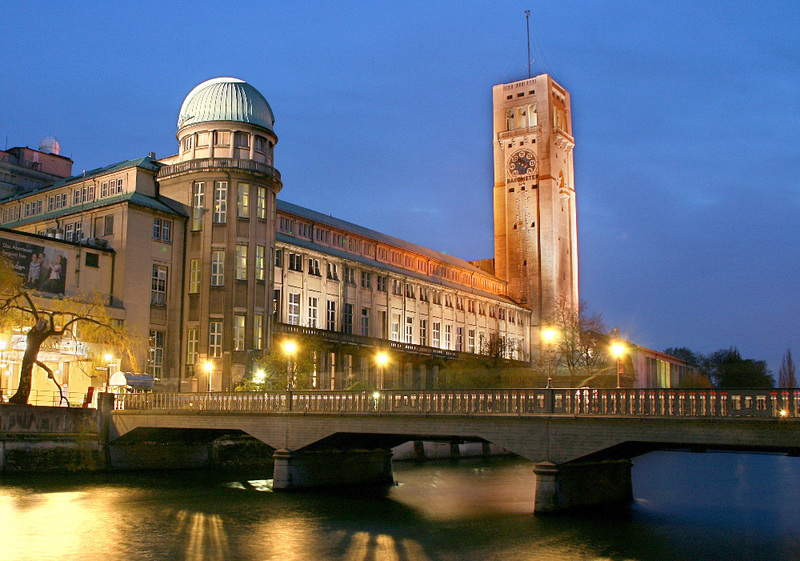 The Deutsches Museum is the world's largest museum of science and technology. It was created by the Association of German Engineers and it's offical name means "German Museum of Masterpieces of Science and Technology"
Opened in 1933 Dachau was Nazi Germany's first concentration camp. Originally intended for political prisoners it grew to hold thousands of Jews, German, and Austrian prisoners, whom were used for forced labor. Based on records 32,000 prisoners died at the camp but thousands more are undocumented. 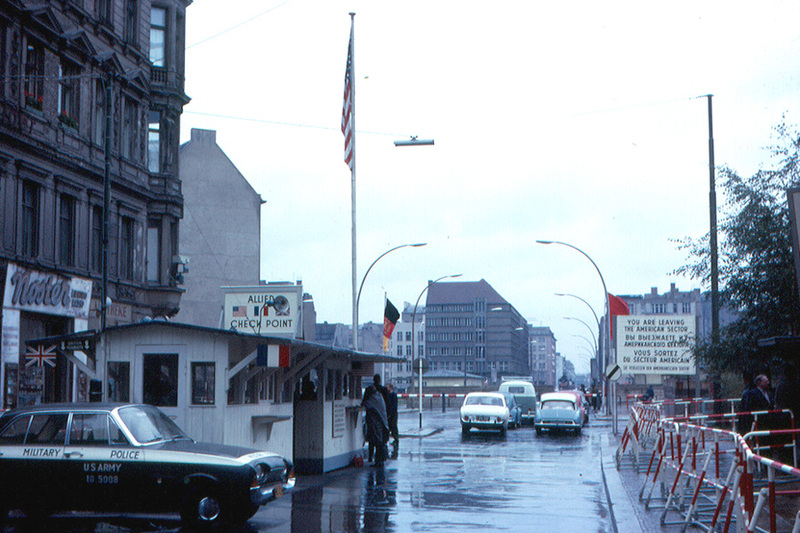 With the construction of the Berlin Wall in 1961, checkpoint Charlie was the only crossing point from west to east Germany. Munich hosted the summer Olympics in 1972, the first time in Germany since the 1936 games in Berlin. It was an opportunity to show off a new democratic Germany. It is the unfortunate location of the Munich Massacre where a group of Palestinian terrorist took nine Israeli athletes hostage and eventually killed them all.